En plein air is a French expression that means “in the open air.” It is used by artists to describe the art of outdoor painting, capturing landscapes and views in natural light. … Plein air painting is about leaving the four walls of your studio behind and experiencing painting and drawing in the landscape. The practice goes back for centuries but was truly made into an art form by the French Impressionists. Join artist Gaylon Thomspon for this one day workshop. Gaylon has taught painting and drawing classes at Tinker AFB for 20 years, and has been plein air painting for the last 15 years. 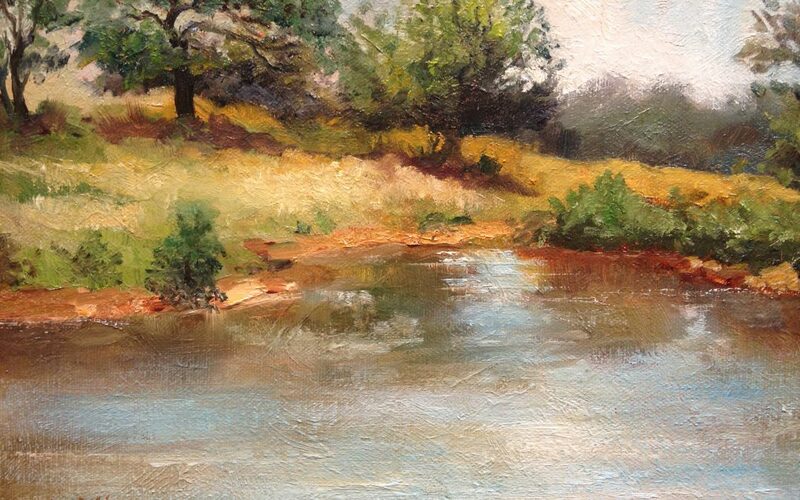 This is an introduction to Plein-Air Painting. Open to all media. You are not expected to have all the equipment listed. Just bring what you have.